Patrick Cummins works in the Intellectual Property Practice Group of Middleton Reutlinger, and is a registered patent attorney with a focus on Electrical Engineering related subject matter. 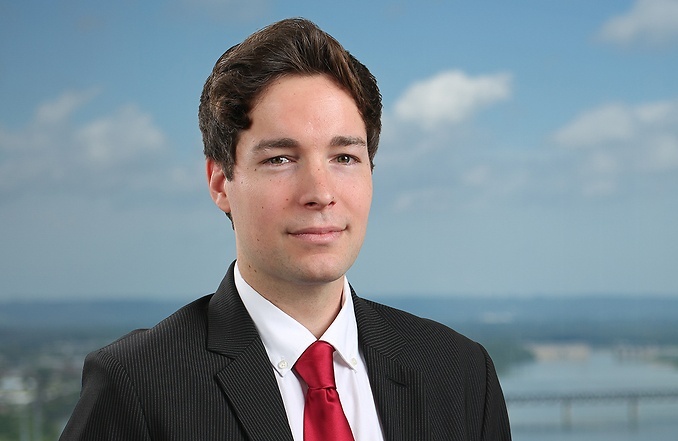 Patrick has experience on both sides of patent prosecution, specifically as a patent examiner with the U.S. Patent and Trademark Office, and as a patent attorney in Silicon Valley working with large technology companies. Patrick earned his Master’s in Electrical Engineering from the University of Louisville, and focuses his practice on various areas of Patent Law. Patrick has drafted hundreds of patent applications that have included a wide range of electrical-related subject matter such as signal processing, semiconductor substrates, device networking, content licensing, payment systems, manufacturing, control systems, device testing, display panel circuitry, encryption, wireless communications, various circuit components, machine learning, deep learning, reinforcement learning, edge computing, image processing, semiconductor fabrication, medical devices, training equipment, wearable devices, health management systems, user interfaces, IOT devices, power management circuits/devices, search applications, vehicle control systems, among other subject matter.